Eight inch US flag plaque. On July 4th, the United States of America will celebrate Independence Day. If you consider the signing of the Declaration of Independence as the birth of our nation we will turn 242 years young on that date. I am a proud citizen of the United States. I stand, remove my hat and place my hand over my heart when the flag is presented. I love the freedoms we are given by our constitution. I respect the checks and ballances our founding fathers set up for our government. I am proud of the innovations and advances our scientists have produced. 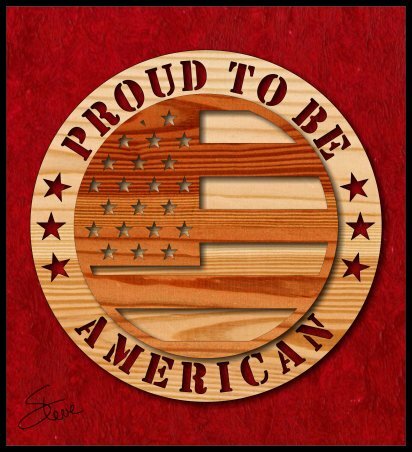 I am proud to be American. I am also proud that we can stand up and protest when we believe something is wrong. Lots of people are saying that we are more divided as a nation now than ever in our history. BS, we are united in our right to disagree. Disagreement without hate is an effective tool for change. Hate is the enemy of change. Don't let hate slip into the conversation or we all lose. Every nation, state, community, and person can do better, want better and be better. Let's be better on this 242nd birthday of our nation. 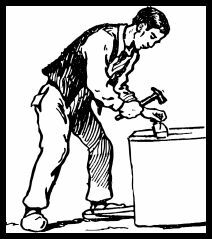 Dictionary.com defines woodworking as follows. 1. The art of making things with wood. I think that pretty much answers that question. Of course, scroll sawyers are woodworkers. 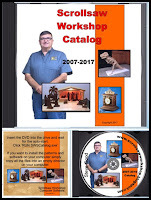 This subject came up recently when I was speaking to a gentleman and the subject of tools came up. I ask him if he was a woodworker and he replied: "No I'm just a scroll sawyer.". I don't think he actually wanted to diminish his craft. I think he was afraid that I was a "woodworker" and would somehow look down on him when I found out he was a scroller. He was setting up a buffer so he did not have to defend his craft. Once I told him I was a scroll sawyer he let down his guard and we were able to talk without these stereotypes. Is there a difference between the skill required to build an 18th century Queen Anne style Highboy replica and a toy wooden car? Yes. Now, if you give that toy wooden car to a child cancer patient in the hospital do you feel any less pride in what you have accomplished? Nope. You will be surprised how wonderful of a feeling it is to have someone look at your project and say "Wow, that's beautiful". That feeling will get you back into the shop fast. It's worth the risk. At the date of this post, the current price is still reduced to $314.63. I will keep you update until the price goes back up. Notice that the jig is holding an irregularly shaped(circle in this case) project in place to be routed. The two small nails do the job. Watch the video below for details. 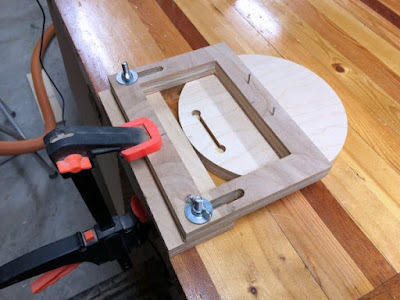 We often cut scroll saw projects that need to hang on the wall. One of the most effective techniques to hang the project is a keyhole slot. These slots are strong and give you the ability to balance the project so it hangs straight. 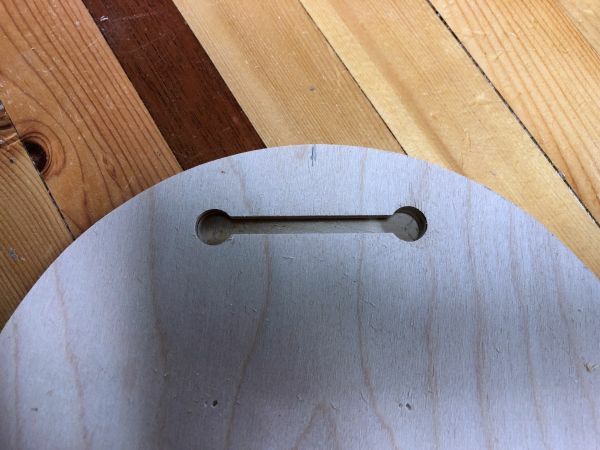 These slots are cut with a keyhole router bit. You can install the bit in a handheld router or a router table. 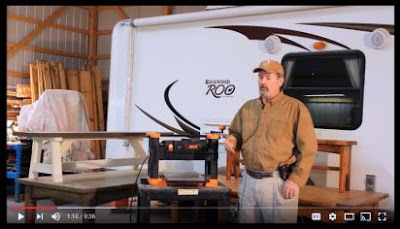 In a handheld router, it is difficult to cut the slot straight without a fence. It difficult to use a straight fence on an edged that is not straight. That's where this jig comes in handy. 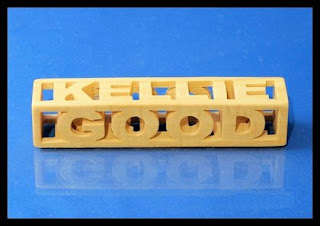 Watch the video demonstration for details on the jig build. This jig is designed around the Ridgid R2401 trim router. You can easily modify the design for use with your router. The small base of the Ridgid trim router just makes the jig compact and easier to use. I have owned this router for a few years and it has been worth every penny. For $99 it has seen a ton of use in my shop. It is lightweight and powerful. 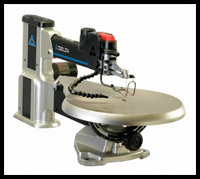 It's the perfect router for scroll saw projects. 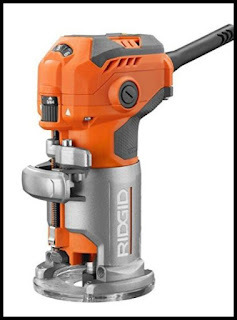 The picture shows the Ridgid router with the round base. It includes the square base that I use in this jig. I'm still taking orders for the custom 3D name patterns. These are super fun to cut and always get this response. (How the heck did you make this?). People will look the project over and over trying to figure out the trick. There is no trick. It is a solid block of wood. Use the first and last name, husband and wife names, boyfriend girlfriend names. Click to order your custom pattern for $5. 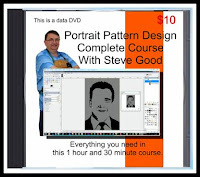 I will make the pattern and email it to you with a payment link. You only pay if you are completely happy with the pattern. send a check, case to the address include with the email. 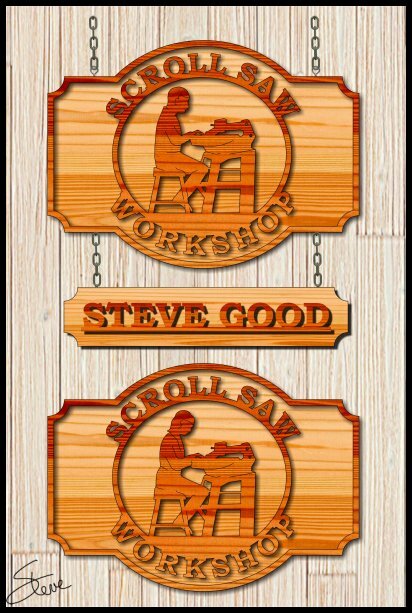 Hang up a sign for your scroll saw workshop. There is a male and female version of the sign. I also included an extra bottom plate so you can add your name to the sign. The sign is 13 inches wide. If I had to choose one other power tool to go along with a scroll saw it would probably be a planer. As scrollers we need access to thin boards. 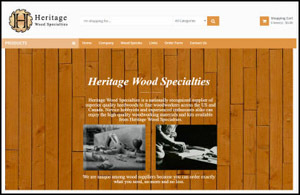 Being able to take rough lumber/boards and make them any thickness you need is a great addition to your workshop. 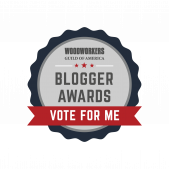 Ideally, you want to have a band saw for resawing and a planer thicknessing but the planer needs to come first in my opinion. The planer alone is wasteful but at least you can get a board the thickness you need. 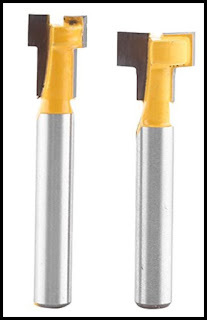 These inexpensive WEN tools are surprisingly well made. 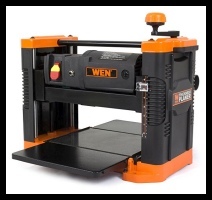 This WEN 12.5" planer gets 4.5 stars on Amazon with over 400 reviews. Amazon reviews are actually pretty good because they have verified purchase reviews. That does not mean there are not some dumb reviews on Amazon but they are better than nothing. The current Amazon price is under $250. That's considerably less expensive than most of the comparable planers on the market. 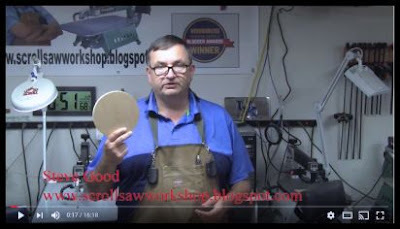 This video is a review of the WEN 12.5" planer from a user after several months of use. I think he does a good job showing the pros and cons of this machine. Make beautiful heirloom quality jigsaw puzzle from your photos. Templates for all the standard photo sizes included. 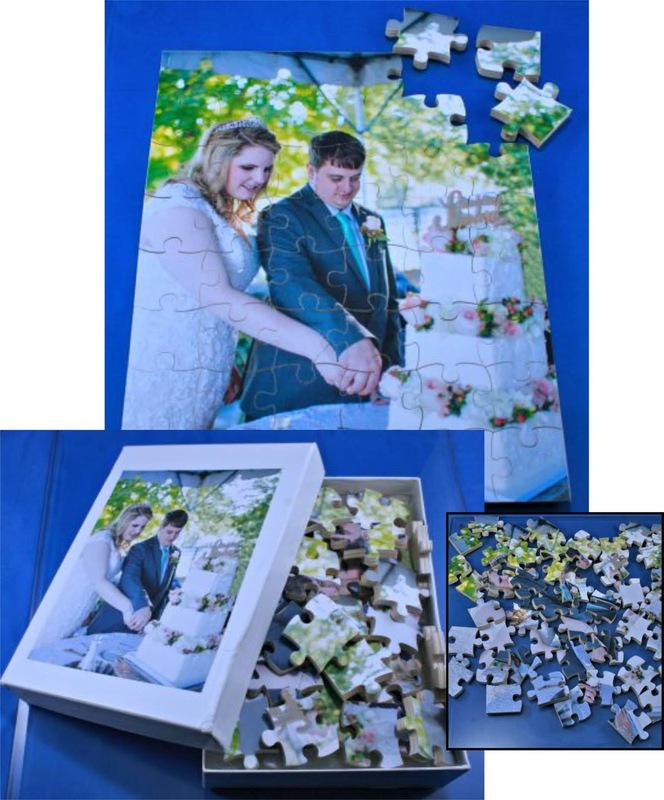 I want to thank everyone who purchased my Jigsaw puzzle template book. The comments about the update were very positive. 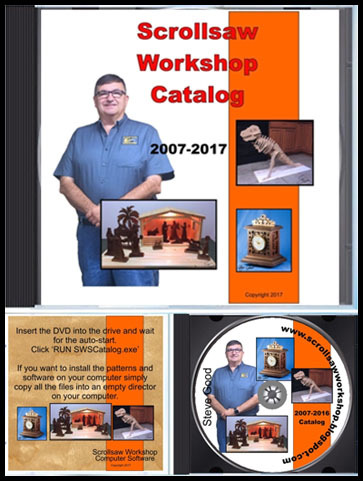 For those who may have missed it here is a link to a video showing how these templates work. VIDEO LINK. The book is $7 and available for instant download after purchase.